Simon Mason scored a brilliant Lord’s century as Sessay made history in winning the Davidstow National Village Cup for a second time in seven years. Mason joined West Indian great Viv Richards in making a score of 138 in a final at the ‘Home of Cricket’ to set up a 119-run victory over Kent-based Sibton Park. Nick Harrison (69) shared a 150-run partnership with Mason as Sessay (307-5) totalled the highest 40-over total in 45 years of Village Cup finals. Sibton Park made a solid start in reply but lost four key wickets in the space of ten runs as they were dismissed for 188. 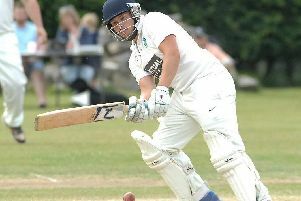 Ben Allon gave the Southerners something to cheer as he struck Sessay captain Mark Wilkie for four successive sixes during his defiant innings of 70. 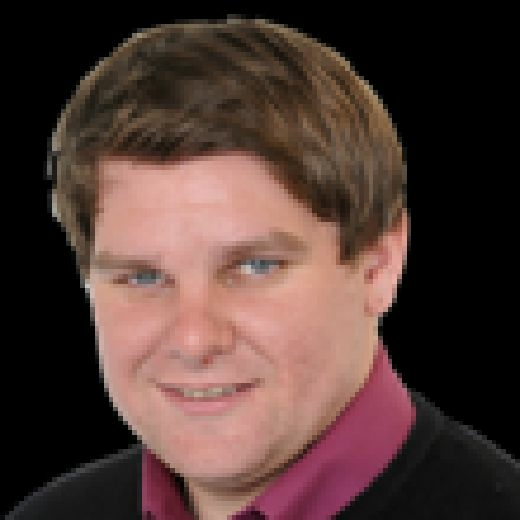 Sessay had made a habit of batting first on their run to the final and captain Mark Wilkie had little doubt continuing the pattern after winning the toss despite overcast conditions and a green wicket at Lord’s. Wilkie compiled a match-winning knock of 70 on Sessay’s last appearance in the final in 2010 but his innings was short-lived this time around as he missed a straight one off slow-left-arm bowler Trevor Lewis for nine. The captain’s dismissal brought Mason to the crease and he set a strong foundation by lifting Lewis down the ground twice early on for four. At the other end, Matthew Till slapped a couple of fours but he missed a heave to the leg-side on 16 and saw his bails removed, again of Lewis’ slow bowling. At that point, the game appeared in the balance but a brilliant partnership by Mason and number four Nick Harrison firmly took the game away from the Kent bowling attack. Mason played with power and precision to find the boundary with regularity and brought up his half century with eight fours and a six to his name. Harrison was in his shadows and ticking the score along nicely, with Sibton unable to cut off the dangerous short boundary, with the pitch over to the far strip. The 100 partnership between the pair was brought up in 91 balls before the accelerator was pressed firmly to the floor. Sibton Park were not helping themselves, however, and young pace bowler Harry Wren sent two consecutive wides to the fence down the leg side at the beginning of his solitary over. Harrison reached his half century with a monster six over mid-wicket and repeated the trick next ball, before adding a four in an expensive over from Simon Murrell. Mason had moved into the nervous 90s and was given the opportunity to clear the field as Sibton opted to bring the field up. And he needed no second invitation as he cleared cow corner to bring up his century off 94 balls. It was a spell of heavy hitting and the Sessay pair took their partnership from 100 to 150 in just 20 balls. It ended soon after as Nick Harrison was caught by Tim Bishop on the boundary for 69. Mason continued his assault and found boundaries around the wicket, with a knack of finding a gap just after a fielder had moved. However, his attempt to scoop one more to fine leg was his undoing when he missed one of the usually reliable Allon, who had taken 20 wickets in the competition, and departed for 138. Mason’s was the fifth century recorded in Village Cup finals and the highest, equalling the score that legendary batsman Richards made against England in the 1979 World Cup final.The runscoring continued with the talisman back in the pavilion as Jacob Spencer added a flurry of lusty blows. There was one positive for Sibton as Wren recovered from his nightmare bowling spell to run Nick Thorne out with a direct hit from the long off boundary. But Spencer continued his late assault and cleared the short mid-wicket boundary three times to finish unbeaten on 48 and take his side past the 300 mark in the final over. Sibton, of the Kent League, made a solid start to their reply with Tim Bishop and Graham Bingham scoring 23 from the first four overs. Stuart Peirse made the first breakthrough when he trapped Bingham leg before for 11 but Sibton carried on finding the boundaries to move to 45/1 off seven. That was as good as it got, however, as Peirse had Trevor Dunham caught by Harrison at point, and Bishop followed two balls later in similar fashion. The Sibton collapse continued with the introduction of Sessay captain Wilkie and he knocked Steve Hickmott’s off peg back for a duck before Harry Wren followed suit later in the over. Ben Allon had watched the wickets fall around him before leading an onslaught against Wilkie, knocking him out of the attack with four straight sixes into the crowd on the leg side. Stephen Langstaff’s left-arm spin then cleaned up Josh Woodward for a battling 19 before Allon went past his half century. The batsman finally departed for 70 off 53 balls when he miscued one high into the air off Matthew Till, who sprinted back and clung onto a skier. Sibton added 34 more runs for the final three wickets but Sessay's victory was wrapped up when Liam Carver had opposition captain Stephen Rowe caught at second slip.